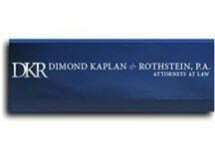 Dimond Kaplan & Rothstein, P.A., knows that there is no one way to resolve a securities fraud or an investment loss case. From our office in Miami, Florida, we explore a number of options for recovering our clients’ investment losses, including filing an arbitration claim with the Financial Industry Regulatory Authority (FINRA), filing a class action or court litigation. Our law firm has guided thousands of individual and institutional investors through such issues in Florida, California, Michigan, Texas, the rest of the United States and Latin America. We offer free initial consultations. In many instances, our law firm has negotiated settlements of our clients’ investment loss claims involving hedge funds, stocks, mutual funds, bonds, exchange-traded funds and derivatives. We are known for bringing cases to an expedient and fair resolution. But, as trial attorneys, we also are prepared to litigate our clients’ claims through trial or through an arbitration final hearing. We also have successfully represented numerous clients in state and federal courts in business, commercial, real estate and employment disputes. When we are not in court or delving into a case, our law firm’s attorneys investigate current events and news regarding investment fraud, stockbroker negligence, consumer fraud and other wrongdoing. We know how these misdeeds harm our clients. Therefore, we strive to recover top dollar for our clients and ensure that parties are held accountable for their negligent and fraudulent acts.